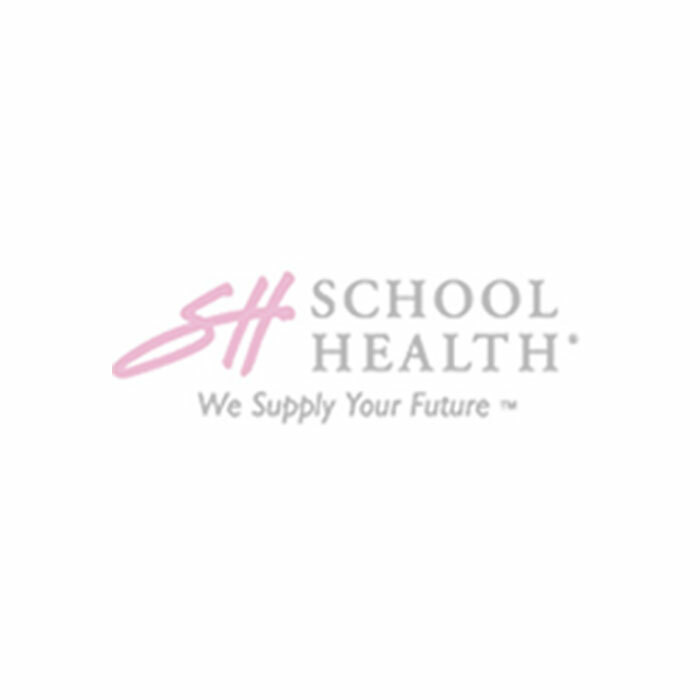 Available to Ship in April. Pre-Order Now! 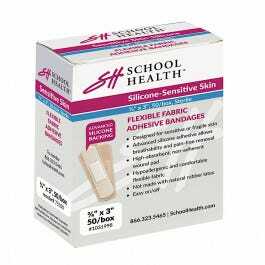 School Health Brand Silicone Flexible Bandages help you achieve exceptional bandage protection without the hurtful removal. 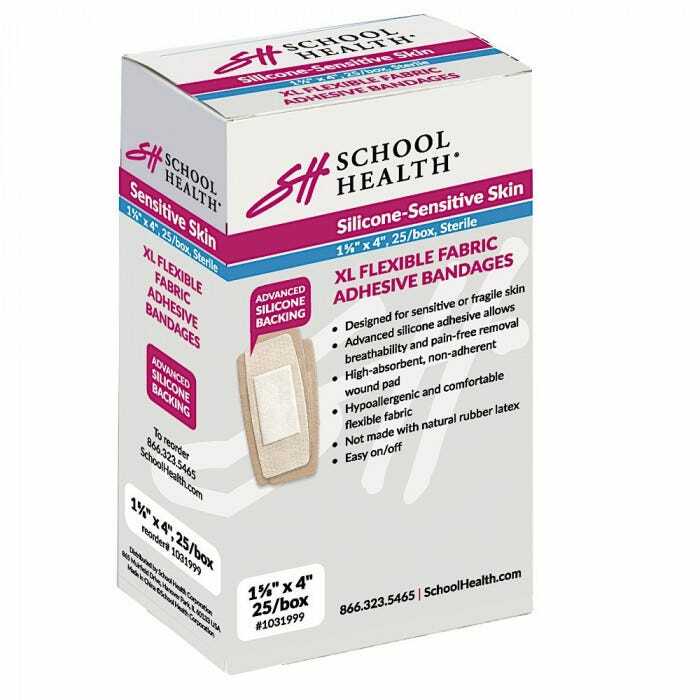 The next generation of School Health Adhesive Bandages are here! 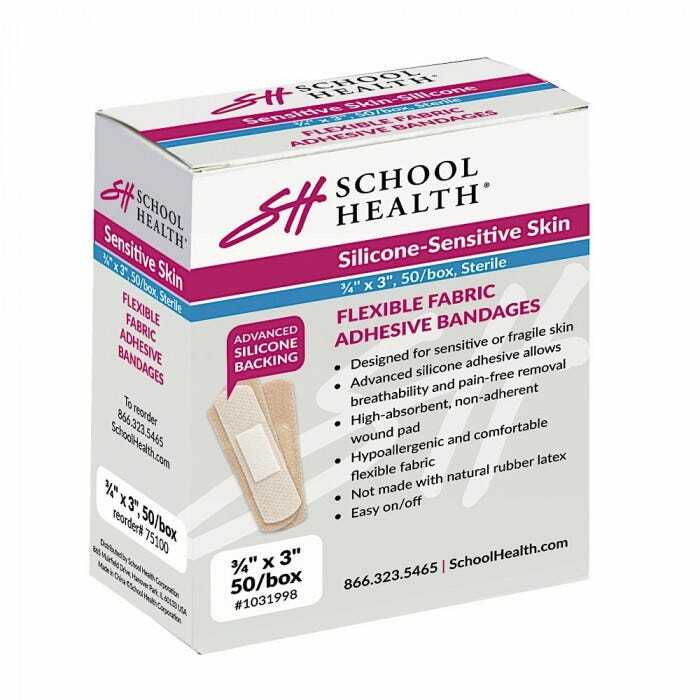 These flexible fabric adhesive bandages are designed specifically for sensitive or fragile skin while also providing a more absorbent wound pad for increased protection around the area of the cut/wound.